Start by paying attention to what you eat. Cut back on fat and sweets and add more fruits and vegetables. After you have that under control, add exercise. If you hate to exercise try it for only 15 minutes a day at first, then a 1/2-hour. Keep in mind that while you are exercising you are burning calories and not eating. Also, it will be easier if you chose an activity that you enjoy. It is always good to have support when you are trying to lose weight. Find a friend who wants to lose weight and compare notes, weigh-in together and maybe even have a contest. Working out weights will build muscle and raise your metabolism so you will burn more calories. Also, muscle takes up less space than fat so you will be smaller (but probably weigh more). Don’t eat as much bread and pasta and you will see a difference. Set a deadline to lose the weight and write it down. For example, ‘ By Dec 14/04 I will weigh 150 lbs or less’. Put it somewhere you will see it daily. If you drink a soda or 2 a day you are adding empty calories. If you find it hard to stop completely, cut back at first and drink water instead. Avoid fried meat, grill and use lots of spices. You will get used to it and probably enjoy it more. When you go shopping, don’t go on an empty stomach and you will be less likely to buy junk food. Keep your home ‘junk food free’ so you won’t be tempted to indulge. Consume most of your calories early in the day and always eat breakfast. Don’t eat after 8pm and not only will you avoid those added calories but you will sleep better. When you tell yourself that you can’t have something you want it more. Give yourself a treat once a day (ie. half a cookie) and you won’t feel you are missing out. Drink water when you are feeling hungry and you will get that ‘full’ feeling. Many times we eat just because it’s there. Pay attention to when you have had enough. Eating more frequently will keep you from getting too hungry. Write your workout sessions in your journal or planner. Fad diets don’t work. 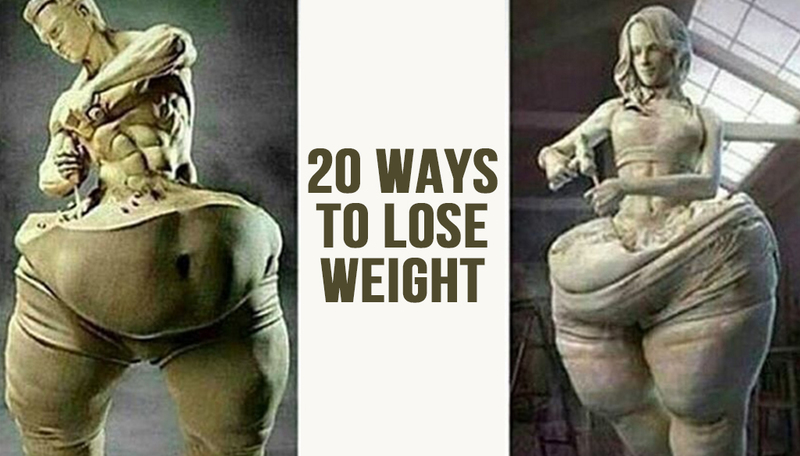 If you lose weight fast chances are that you will gain it back (and more) just as fast. It takes time to put it on and time to take it off. While you are watching TV do crunches and leg lifts. If you decide to have junk food for a snack – be sure to measure and control what you eat. … and ward off those cravings. Weight Loss Vs Fat Loss – Yes There is a Difference!